I entered the world of 16S rRNA gene metabarcoding as a naïve PhD student around five years ago. Like many people, I had hoped that there would have been others before me that had beaten the path and could guide me through the many pitfalls of this experimental approach. How wrong I was! I became quickly overwhelmed by the madness of microbiome, or specifically, the lack of consensus in “best practice” for 16S experiments. Since then, there has been an explosion of marker-based microbiome studies. From the sheep lung, to the honey bee gut to the environment of the international space station, it seems that no microbial community is safe! Regardless of sample origin, there are key decisions that need to be made regarding sample processing prior to embarking on microbiome sequencing. Several studies have been published to describe the impact of sampling, sample preparation and analysis on microbiome datasets. Particularly, the key focus has been to ensure that the least amount of bias is introduced during the various sample preparation steps. 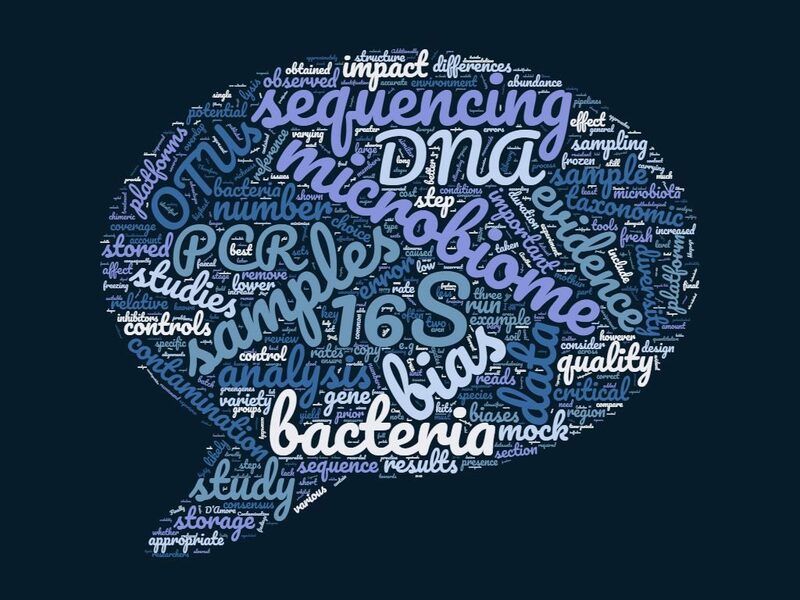 However, myself and several others noticed a gap in the literature, as there had been little attempts to collate this wealth of information to drive home key messages for new microbiome researchers. Professor Mick Watson inspired a few of us through a blog post to team up and to try and make sense of the current literature. This led to us writing a short review paper covering the critical considerations for sampling, sample storage, DNA extraction, library preparation, sequencing and analysis. It was important to us to ensure that our review was accessible to researchers working in a broad range of areas. So, whether you are in the middle of a soggy British field collecting soil or in Barbados collecting sea water samples for microbiome analysis, this paper provides a good starting point. Include a “negative” (or more correctly, a “reagent-only”) control in each sequencing run to identify potential contaminants. Finally, as a bottom line, remember that the critical considerations above all else are good experimental design and consistency in your own methodology during sample preparation and analysis. You can access our review here. Jolinda Pollock is a postdoctoral researcher based at Scotland’s Rural College (SRUC) and The Roslin Institute, Edinburgh.